Pushkar, textured with the myth and meditation is known for its rich cultural heritage. The Heritage Walk, significant to your `Sacred’ festival experience, is designed for you to experience Pushkar’s diverse religious, architectural, culinary and handicrafts’ heritage. So come forth and walk through the winding lanes of this colourful desert town; unveil its rich cultural legacy and be captivated by a delightful and deeply satisfying sacred experience. 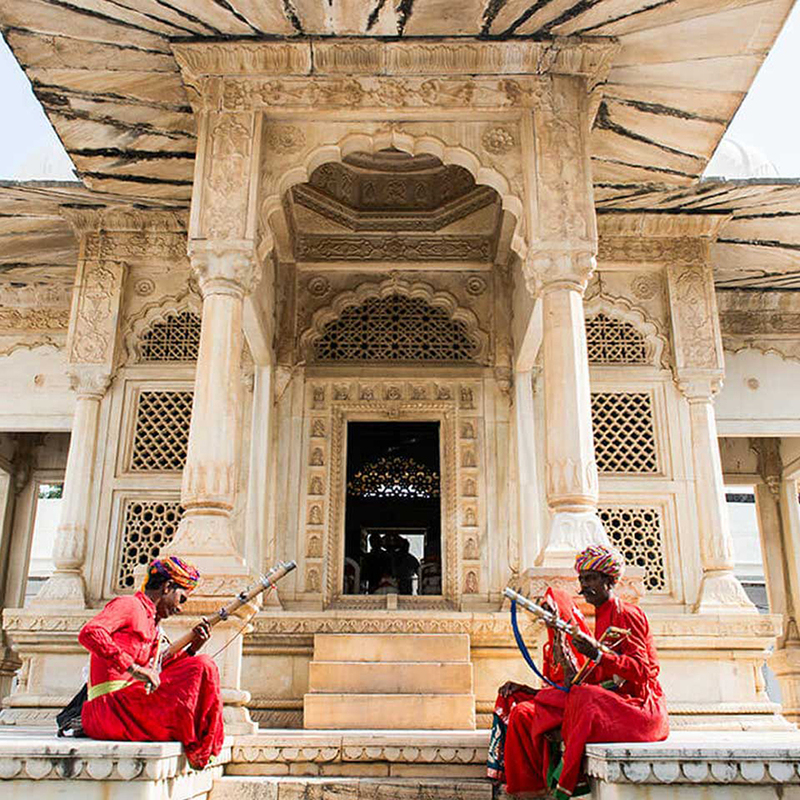 The cultural spread of Pushkar comprises of over 500 temples and 52 ghats which express the hum of its sacred nature. The exquisite crafts and scrumptious delicacies add an artistic flavor in the town of Pushkar. The walks include the music processions to discover the secrets of the old Rangi temple, the rare Brahma temple, the 120 lingams of the Gwalior ghat, awakening of the old stones of the Varah ghat through local sounds from brass bands, Chennai instrument, bhajans, and nagadas. Top it with the earthy flavours of delectable melt-in-your mouth maalpuas, chaat, kachoris, malai-mar-ke (topped with cream) lassi and raabdi.